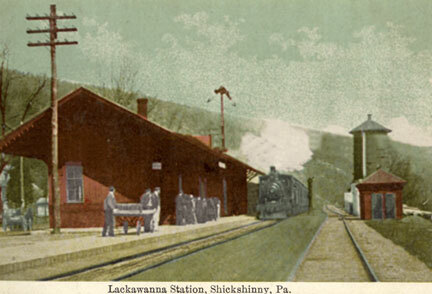 Shickshinny was originally served by the Lackawanna and Bloomsburg Railroad which later became the Delaware, Lackawanna and Western Railroad and then the Erie-Lackawanna Railroad. service ended and removal of the tracks happened with the take over by Conrail. 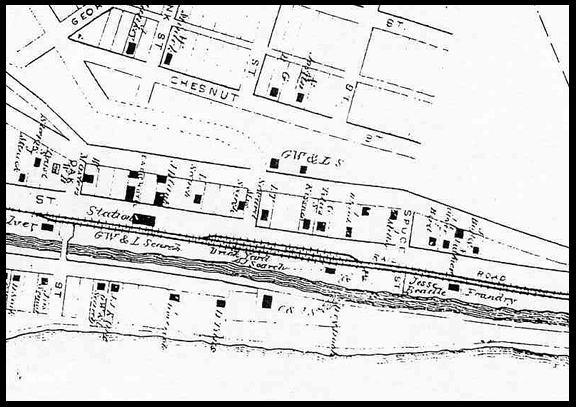 Old map showing track location of the Lackawanna & Bloomsburg Railroad in Shickshinny. 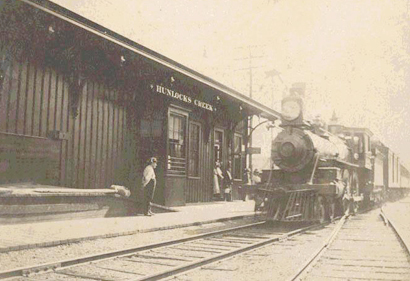 Hunlock Creek was originally served by the Lackawanna and Bloomsburg Railroad which later became the Delaware, Lackawanna and Western Railroad and then the Erie-Lackawanna Railroad. Service ended and removal of the tracks happened with the take over by Conrail. 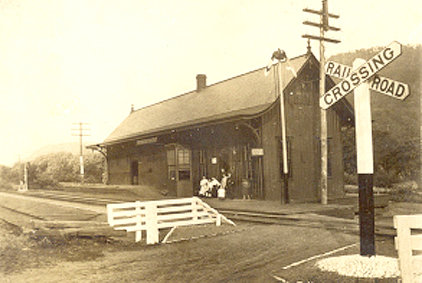 The station still stand today although in disrepair. 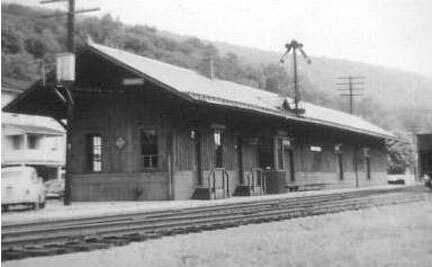 It is a Pagoda Style Station. 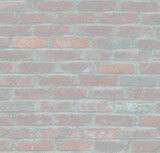 Sometime in it’s past a previous owner turned the station 90 degrees and put it up on a concrete block foundation.